Living with a roommate can be a rewarding and exciting experience. However, it is important to make sure that roommates get along in a shared apartment. Since you must share a living space, look into a storage unit in Capitola for the belongings you will not be bringing with you. It may seem like a good idea to live with your best friends, but it turns out that this may not always work out so smoothly in the long run. It takes a special kind of friendship for people to spend a great deal of time together without getting sick of each other. It is typically a better idea to live with a friendly acquaintance with whom you have a variety of mutual interests. This can help to strengthen a relationship rather than strain it. The best way to foster a positive relationship with your roommates is to get to know them on a personal level. Find out what they like, what they do not like, and learn about their beliefs and philosophies. In addition to their preferences, learn their work schedules; if one of your roommates works early in the morning, be respectful and keep it down at night. Knowing your roommates is the best way to make sure that you enjoy a conflict-free roommate relationship. It is important for roommates to be on the same page when it comes to household rules. You may all agree that each person should do his or her own dishes as soon as they are used. You might also establish a “no shoes on in the apartment” rule. Since you may be living in limited space, each roommate may be entitled to a portion of the common room. If you do not have room for all of your belongings, consider using a self-storage unit at a local storage facility. Living with a roommate can be fun, as long as you respect each other’s needs. Make sure that you establish rules for the space, and try not to live with your best friends. If you need extra space, consider a self-storage unit. 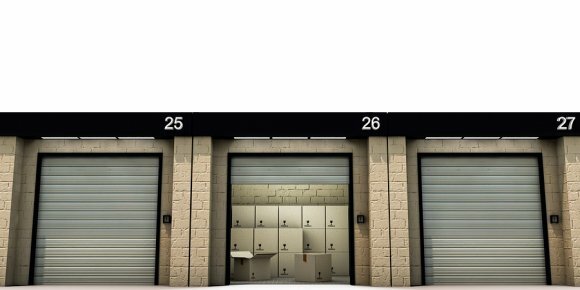 Storage units come in a range of sizes, so talk to your secure storage facility in Capitola to find out exactly what size is best for your needs. Keep reading if you need help choosing the right size self-storage unit for your needs. Storage units are typically 8 feet high. Smaller units are 5 feet by 10 feet or 10 feet by 10 feet. 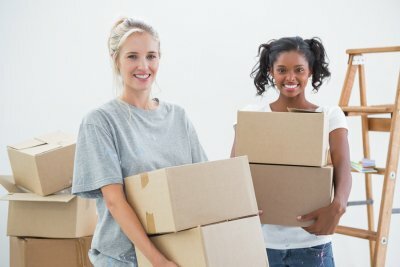 The former is appropriate for storing a few pieces of furniture and boxes, while the latter can handle the contents of a small one bedroom apartment. If you are looking to store a two bedroom apartment worth of belongings, you may do well with a 10 feet by 15 feet storage unit. For a small house, you will need the next size up, which is a 10 feet by 20 feet unit. A 10 feet by 25 feet unit can comfortably store the contents of a two bedroom home as well as a vehicle. The next larger size is appropriate for people who wish to store a car or boat in addition to three or four bedrooms worth of furniture. Many situations call for a unit in a storage facility, but it is important to get the right size, as sizes range significantly. Downsizing your living space can seem overwhelming, but with the proper preparation it can be easy. Use furniture that serves several purposes and do not part with useful or especially sentimental items for the sake of downsizing; instead, go to a storage facility near Capitola and rent a self-storage unit. Here is a closer look at how to downsize your living space. Just because you are moving to a smaller living space does not mean that you have to get rid of everything you own. Although your new place may have limited room, you can still hold on to useful belongings or items that have sentimental value. However, you should put careful thought into deciding what you will keep, because the space in your new home will be more valuable than the space in your current living space. If you have a substantial amount of belongings that you would rather not part with but you do not have enough space in your new home for, consider renting a storage unit. You can keep the belongings that you do not routinely use in your storage space and then access them whenever you need them. Depending on your budget, this can allow you to hold on to all of the belongings that you want while still being able to live in a reasonably clutter-free living space. All of your children’s artwork and other sentimental belongings will be safely stored in your self-storage unit. In order to maximize space at your new home, use furniture that can serve more than one purpose at once. Use a couch or sofa that can pull out into a bed, and use your dining room table as a workspace. Using furniture that can double as other pieces of furniture is one prominent key in saving space when downsizing. Do not discard important items when you downsize and move to a smaller living space. Rent a storage unit from a self-storage facility to keep your excess belongings. Make sure to use as much multi-purpose furniture as possible in order to save space. When you are getting ready to transition your home into a storage unit, you will need to take extra care when packing fragile items . With the proper packing procedures, you can make sure that your delicate belongings are not damaged when they are placed in your storage unit. 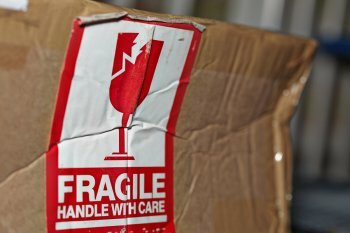 To pack fragile items, you should first make sure that you have plenty of bubble wrap and tape. By wrapping a fragile item in bubble wrap, you will protect it from any bumps that may occur when you are moving your boxes into a secure storage facility. A self storage facility located in Capitola can help you keep your delicate and fragile items safe when you move. By renting a high quality storage unit, you can add convenience and security to your moving process. The experts at a self storage facility will be able to assist you with every phase of your move.